it’s time for me to willie nelson! i have been lazy enough. well, not so lazy, but not so much on the road. last year's resolution was to meet every one of my 325 facebook friends. i now have more friends and i'm not sure how i'm going to meet them all! i’m starting to organize a general itinerary but it’s difficult because now i have 4,400 friends and i think some of them i will have to group into geographic zones. this isn’t much different from what i did at the beginning of last year when i thought about dividing the world into 325 specific friends. i thought about who lived near whom and who was friends with another and when anybody would be expected to go on vacation to visit. . .
this is someone i’m seeing this coming week. . .
this is the profile picture of the friend i will see next thursday. 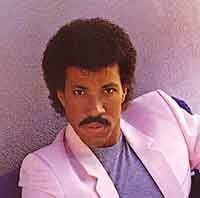 i see a resemblance to lionel richie. anyone? so i pull the car out of the garage and head west. . . as willie nelson says “on the road again, the life i love is making music with my friends and i can’t wait to get on the road again. . . This entry was posted on Tuesday, February 7th, 2012 at 8:10 pm	and posted in Uncategorized. You can follow any responses to this entry through the RSS 2.0 feed. « add a few new members to the 1% club and make sure to log out every once in a while! I could afford to have social services help me so I be humiliated for others consolation … and not aloud on the time of the spoils … Try to fight the destructive beaver be kindness . i will be kindness always! So I’m learning that NEW thing to me ? Is that Public of just between me and you ? ha ha! that’s so fun!